The better the brushes, the better the makeup application, right? That is my general rule of thumb, and I do think it’s pointless applying expensive makeup. 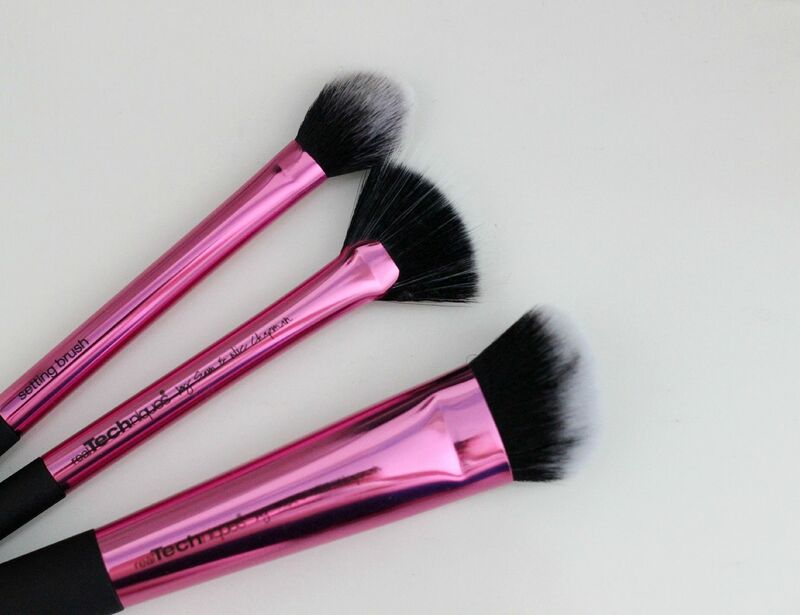 The Real Techniques brushes are a long-standing favourite of mine – buffing brush, anyone? – and when I saw this set in Superdrug a few weeks ago, I grabbed it. I was the last one, so I didn’t even think about it. I’m a terrible person. 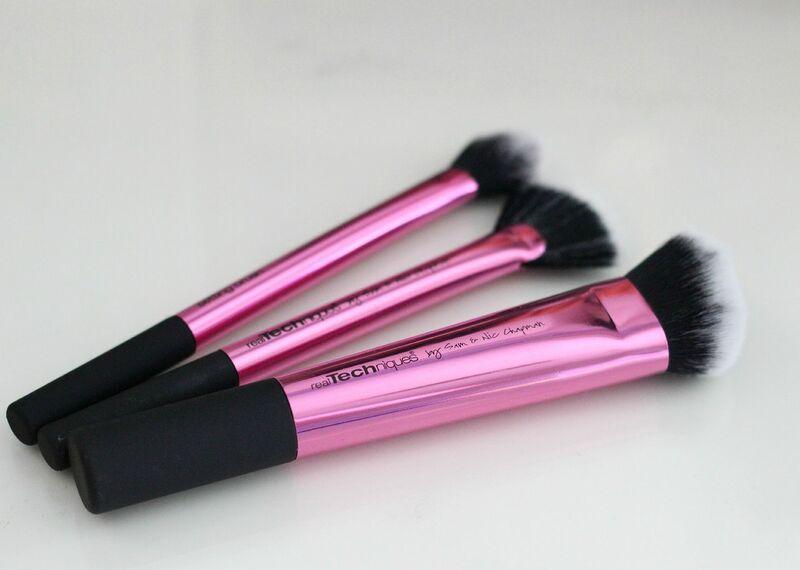 There are three brushes in the set, and they’re also all designed to sculpt and carve your face. Every brand with sense is running with the whole massive contouring trend and rightfully so, because it’s the biggest makeup trend, ever. This set is £20.99, which is cheaper than one MAC face brush and is of a similar quality. I didn’t buy into the Bold Metals collection, yet. I might try one in the future, but they seem expensive and I would rather stick with the regular range of brushes. In the set, you have the setting brush, which has been released before. It’s perfect for setting under eye concealer with powder, or adding highlight in a really small amount. This one that comes in the set seems a little bit wider than the previous one. Useful brush to have. The fan brush is my favourite one in the set, and the one I was least excited about. It’s so soft, and this is my new favourite for adding highlighter. It applies it so softly and blends everything really well. If you can be heavy handed with highlighter (like me), this one applies it so well without looking like you’re made of metal. The contouring brush is the one I was most excited about, and it’s pretty good. It is the perfect shape for contouring the cheeks, and applies product really well in that area. The only thing I don’t like it that it’s so dense that it can almost seem to blend a bit of base product away. This does work well with cream contour products, and buffs those in really well. I’m not 100% convinced on using this brush for powder contour as of yet. I’m used to using a fluffier brush to blend everything in quite lightly.